The Garve & District Development Company aims to regenerate and develop the community in which you live and work, now and in the future. What are Directors responsible for? Ed is the Chair of the Company and lives at Gorstan with his family. Having tried to retire after 40 years as a "traditional crofter" and failed, I thought I might put something back into the community by helping to get us fired up to put the community on the map in the best possible way. Hope it works. Chris worked at Kishorn until 1978 and then managed a variety of projects in Eastern Europe, the Middle East and Far East, always with Achanalt as home base. For the last three years he was a director of the LCT and now, as a director of the Development Company, hopes to contribute to its objectives to make full use of the windfarm funds by active promotion of projects and to help with LCT funding applications. 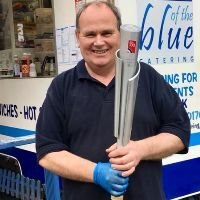 Having worked overseas and then for 20+ years, run his business throughout the UK, John has travelled extensively but increasingly values the time spent working from home and engaging with his children, grandchildren and the wider community. 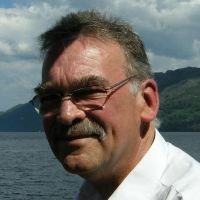 “There are some significant synergies between my professional work for Local Authorities and the challenges and great opportunities for ‘investment’ in this community, and having spent 3 years on the LCT board, I hope I can now contribute to the effective and sustainable use our ‘windfall’ funds from within the community's development company”. John lives at Gorstan with his wife Jeanette. He joined the Garve and District Energy group to help bring the benefits of energy efficiency to the community. His house is an energy efficient “PassivHouse” but John’s zest and energy for community projects is far from passive. He greatly enjoys being part of a board leading a range of community development projects. 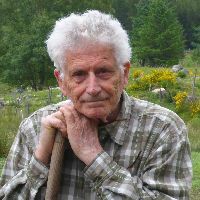 John moved to the Highlands from Tyneside in 2013 after retiring from a career in the NHS Path labs. An entire working life in the NHS on the shop floor and in management taught him that every problem has a solution if you’re prepared to rise to the challenge, consider all the options and get everyone on board. John’s an enthusiastic photographer. 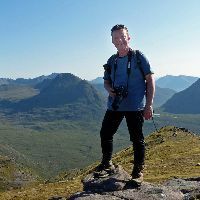 He likes to shoot mountain landscapes, but as an active member of Dingwall Camera Club has turned his hand to a variety of subjects. He organises competitions and workshops for the club as well as helping members of the Dingwall Men’s Shed with their photography. He would like to see a community club for people to share their photographs and learn from each other. Alan is well known for his trademark hat, he and his wife live at Lochluichart. An accomplished musician, in the past he played with award winning 8 piece band KJB on a number of musical instruments - Harmonica, Trombone, Guitar and Keyboard. As a loon he started out work in Dundee for publisher DC Thomson and for a time worked in the oil industry, coastguard and was a French interpreter. He is also a Gaelic learner and likes to paint, more recently a portrait of well-known local character, Jock Logie. Uisdean started life off at Gorstan and now lives at Garve and runs “Out of the Blue Catering”. He is well known for the Wyvis Burger and his passion for Runrig, as well as his commitment to the local community. Uisdean has a background in catering and transport and was the Scottish Shop Steward for C.P.L. & Scottish Fuels. 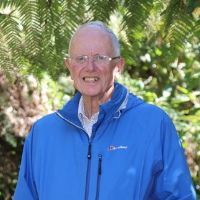 As well as being a Director he is also a Trustee of the Garve Village Hall and the Chair of Garve War Memorial and a director of Highland Deephaven Clay Pigeon Club. Sue is a well known supporter of community groups and has been previously involved with Guides and Rangers. Sue says "Brownies and Guides learn to do everything, I've learned many skills there!" Sue is a crofter who keeps cattle at Gorstan and is known for her green fingers, her favourite plants number many from Snowdrops at the first sign of spring to the taste of home grown carrots. 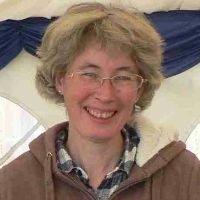 Previously Sue was on the Garve and District Community Council and now sits on the Garve and District Energy group. There hasn't been any comments yet, why not be the first?